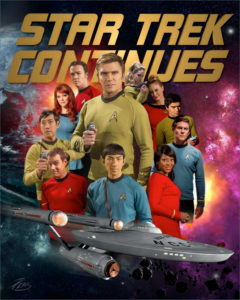 Last time, an Indiegogo crowd-funding campaign in early 2016 gave the STAR TREK CONTINUES team just under $200,000 to produce more episodes of their fan series. But a new set of fan film guidelines released by CBS and Paramount threatened to stop the production in its tracks by limiting episode length to 15-minutes, blocking ongoing series, and forbidding the use of paid professionals and Star Trek alumni on any fan production. STC‘s episodes had been regularly violating several of these new guidelines, and while the new rules were not retroactive, they would apply to anything produced by STC going forward. But the STC team decided to forge ahead anyway, arguing that the guidelines were only that—guidelines—and not some kind of new “law.” They only said that fan productions that followed these guidelines would not be sued by the studios, NOT that those who didn’t follow the guidelines would be sued. So STC announced their intention to produce four new full-length episodes with professional actors and crew, release all four in 2017, and then shut down their fan series for good. The hope was that their amicable relationship with CBS would convince the studios to allow them to finish up, shut down, and go out on the high note. It wasn’t the most optimum solution, of course. STC had initially wanted to produce 13 episodes, and now they would only go to 11. However, considering the harsh constraints of the new guidelines on fan films, being able to produce four full-length episodes—assuming the studios would let them do so without a cease and desist letter or a lawsuit—seemed to be more of a victory than a defeat. But would CBS and Paramount allow then to actually do it? The first episode of STC to be released post-guidelines was their seventh episode, “Embracing the Winds,” which debuted in September of 2016 (three months after the announcement of the guidelines). However, that episode that been filmed back in 2015 and was well into post-production when the guidelines came out. So most fans assumed it would be “grandfathered in” and not count. The other professional to also work on studio-produced Star Trek was Rekha Sharma, who would be playing Security Chief Landry on the new Star Trek: Discovery series. (She had also appeared in the recent Battlestar Galactica reboot series.) However, in this at least, STC could be given a pass, as Reka had not yet even been announced as appearing in the new Discovery TV series when the eighth episode of STC was filmed. Some detractors complained that the episode featured too much Kirk or that the make-up on the older Kirk looked fake. But for me, this was one of my favorite STC episodes to date. The tapestry of the story was beautifully woven, inspired by Samuel T. Coleridge’s timeless epic poem The Rime of the Ancient Mariner. Show-runner Vic Mignogna gave a tour de force performance as three different Kirks. And in my opinion, the make-up on the ancient mariner Kirk was amazing, and far superior to almost anything achieved in other fan productions…of any genre. It should be noted that this episode featured a quiet and very tender series of scenes between actress Michele Specht (who plays ship’s counselor McKennah) and Vic portraying both old and young Kirk. The reason I mention this is that Michele and Vic recently got engaged (according to Vic’s Facebook page), and I would like to congratulate both of them. While their characters never developed any romantic involvement, they’ve been a couple off-screen for a number of years. And the love and support between the two actors is very evident. Fans didn’t have to wait long. While previous episodes of STC had usually been separated by six month gaps (two per year), “What Ships Are For” debuted just four months later at the end of July. Written by Kipleigh Brown (who had played Lt. Barbara Smith since the third episode of STC and also appeared in a third season episode of Star Trek: Enterprise), and directed by Vic himself (his first direction since episode 5, “Divided We Stand“), this episode looked to be pushing the limits of the guidelines even more. The reason was the main guest star: none other than actor John de Lancie, who had played “Q” on TNG, DS9, and Voyager. This wasn’t a writer from one 1960s TOS episode. This was a major actor from multiple Star Trek series. Joining de Lancie was actress Anne Lockhart, daughter of June Lockhart from Lost in Space and best known to sci-fi fans herself as Sheba from the original Battlestar Galactica. Rounding out the supporting cast was guest star Elizabeth Maxwell, a friend of Vic’s from voice-over acting circles. 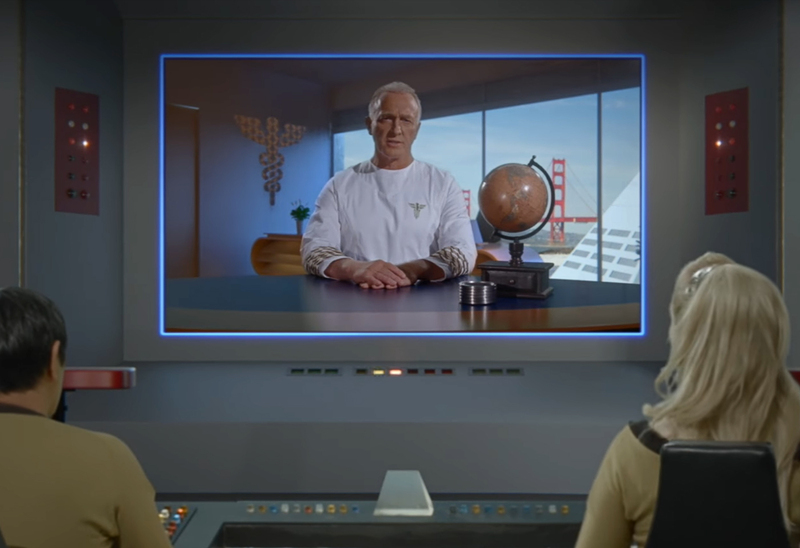 Although the previous episode contained no reference to the ongoing story arc the was leading toward the 2-part finale, this ninth episode began with a transmission from an admiral at Starfleet Headquarters back on Earth…wearing the new style of uniform from Star Trek: The Motion Picture. Like Chekov’s promotion to Lieutenant (jg) in the eighth episode of STC, “Embracing the Winds,” this was a hint of things to come post-TOS. 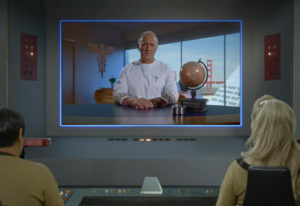 It was mentioned in this scene that Nurse Chapel was back at Starfleet earning her doctorate (she was Dr. Chapel in The Motion Picture). Also, another two starships—Yorktown and Republic—had accidents and would need to be rebuilt. Constitution-class starships remaining in service: just four! Some fans were expecting an episode titled “What Ships Are For” to deal with this ongoing mystery of what was destroying the fleet. But it turned out the meaning of that title was different and would be revealed in the climactic final (and emotionally touching) speech by Kirk. While the first half of the episode was a little slow to get going, the payoff in the second hald was worth sticking with it. John de Lancie’s performance, especially at the end, is magnificent. And again, the episode plucks a current social issue from the headlines and shines a light on it through the lens of science fiction. Perhaps the most interesting aspect of this episode is something many fans might not have even noticed: the new planet set! 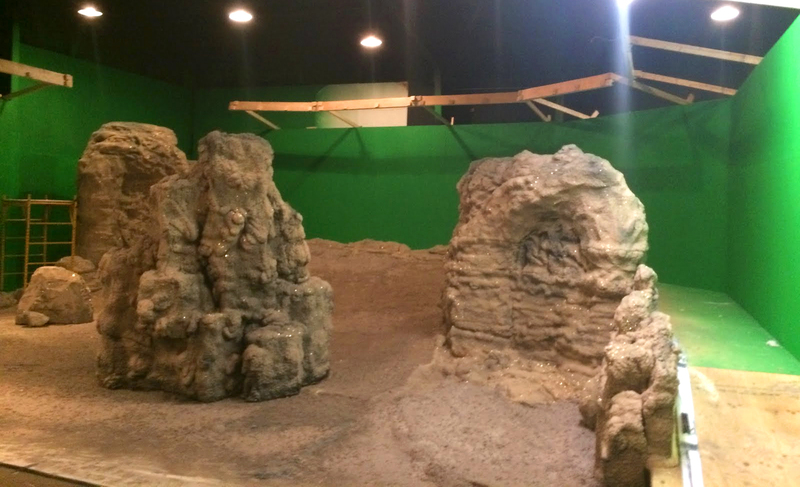 Funded with money raised in their second Kirkstarter campaign, a rocky and barren alien planet set (similar to what TOS had 50 years ago on the Paramount lot) needed to be built for the final two-part episode. However, seeing as how this ninth episode would also involve a landing party on a new planet, Vic added a scene to the beginning of the script that could use the new planet surface set…although not a rocky and inhospitable one (more on that shortly). The new set itself posed some challenges for the production—most notably where to put it! Almost all the space in the studio/warehouse was already filled by the sprawling TOS sets. And what wasn’t a standing set was being used by make-up, wardrobe, props, tools, and materials storage. There wasn’t anywhere left! They say that the Good Lord provides, and in this case, it was kinda literal. There was room available that had recently been vacated by a local church that had used it for weekly gatherings. It was perfect! 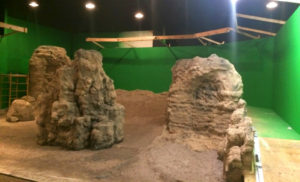 And so Art Director Greg Dykstra and a team of about a dozen volunteers built an alien planet set made up of two permanent, strategically-placed rocky ridges made out of styrene foam, 12 feet high, along with a ground plane that sloped up as it neared the green-screen back wall. A couple of our volunteers went to Wal-Mart and found a bed sheet set that had a print of fall leaves and twigs. So we emptied that store of their camouflage sheets and stapled those sheets to our latex, dirt ground. Then, our team filled many trash bags full of dead leaves and twigs and we covered that set with actual foliage. Thankfully, wintertime in southern Georgia produces lots of dead leaves. We used the leaves to break up the pattern of the bedsheets. And it works like magic. It looks so real, and so good onscreen. And then we dug up or cut down small trees near the studio and made criss-cross wooden bases so that we could strategically place the trees wherever they were needed. 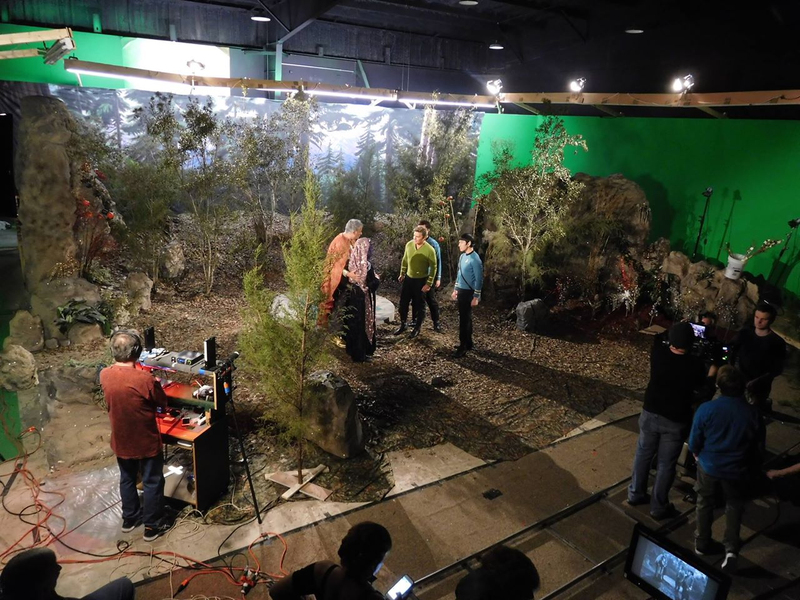 We couldn’t use a green screen for this episode, because the trees — as well as Kirk’s command-variant uniform — are green as well, and would ‘clip’ when adding a background in post-production. We couldn’t use a blue screen either, because McCoy and Spock’s tunics are blue. So out of necessity, a wonderful solution was born. I went online and looked up theatrical backdrops. That’s what you rent if you’re doing a stage play and need to be in the middle of a forest – a mural filled with pine trees and redwoods. You’ll be surprised how realistic it looks on camera. Once again, the episode was released, fans gushed (a few kvetched, but most gushed), and CBS and Paramount remained silent. Two down, two to go. Dating all the way back to their first full release, “Pilgrim of Eternity,” STC has always premiered their new episodes first at conventions—from Phoenix, AZ to Sydney, Australia—before releasing them publicly onto the Internet. And thus was the plan with the two-part series finale. “To Boldly Go, Part I” was set to debut at Salt Lake City Comic Con the weekend of September 21-23 and “To Boldly Go, Part II” would premiere two weeks later at New York City Comicon the weekend of October 5-8. But then CBS announced the premiere date for Star Trek: Discovery would be September 24. STC‘s penultimate episode would be debuting just as the world would be focused on the first new Star Trek to hit television screens in a dozen years! Obviously, the timing of the two releases within a day of each other would NOT be in the best interests of CBS or STC. So the convention premiere dates were changed. An announcement was made in late July that STC‘s tenth episode would debut in New York City on October 8 (and released online 10 days later) and the finale would be screened live at L.A. Comic Con on October 29, with the public release two weeks later. “To Boldly Go, Part I” quite simply blew away fans. It drew from Star Trek‘s very earliest Kirk episode, “Where No Man Has Gone Before,” with a plot line involving ESPers being enhanced by a trip though the energy barrier at the edge of our galaxy. In fact, fans finally discovered what had been destroying all of those starships throughout the preceding episodes…and it was pretty terrifying. In the weeks leading up to the release of Part I, STC shared the identities of two of the episode’s guest stars. Nicola Bryant had played the companion of both the fifth and sixth Doctors on Doctor Who back in the mid-1980s. Cas Anvar had recently rocketed to sci-fi genre notoriety playing the Martian navigator Alex Kamal on The Expanse. But the announcements left out one very important guest star. An interesting moment came during Part 1 in a scene involving Security Chief Drake, a character played by Co-Executive Producer Steven Dengler. This self-made Internet millionaire, Trekker, and Canadian angel investor had given tens of thousands of dollars in support of STC, and in return, he was “rewarded” with a role (that he asked for) on the fan series. 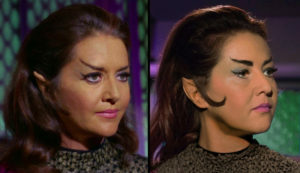 While many fans noticed the costumes (especially the Romulan uniforms), the Romulan bridge set, and the very well done VFX to make the eyes of the ESPers glow, one thing that wasn’t as apparent was how much work went into subtly altering the very familiar TOS background music that accompanied many scenes. Some of the score was original, composed by Andy Farber and recorded live by an orchestra in Rochester, NY. 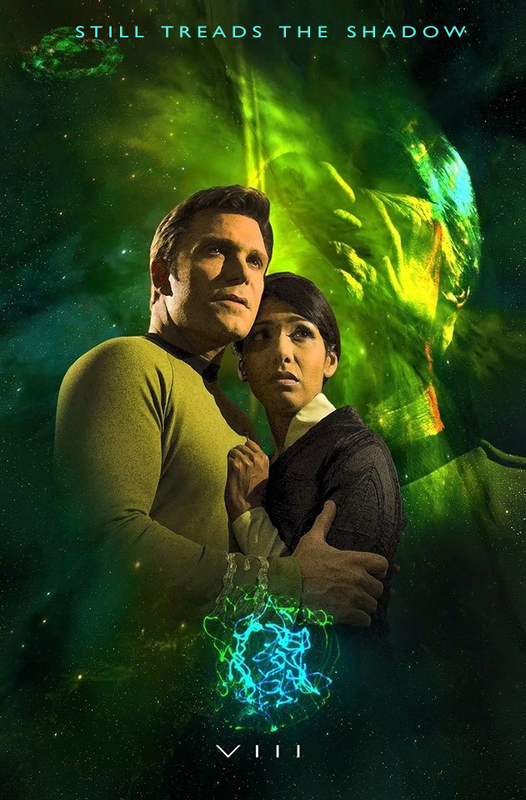 But other pieces of music were taken directly from the original TOS episode scores and then meticulously adjusted by Vic Mignogna himself, who in addition to acting, writing, directing, and editing many episodes, also works closely with music and sound during the editing process. Between the premieres of Part I and Part II of “To Boldly Go,” STC released the last (at least for now) of their “Our Crew” spotlights, this one featuring Vic and demonstrating how those all-too-familiar musical cues that you hear in the background on STC episodes might not be quite as familiar as you think …and you probably didn’t even notice! 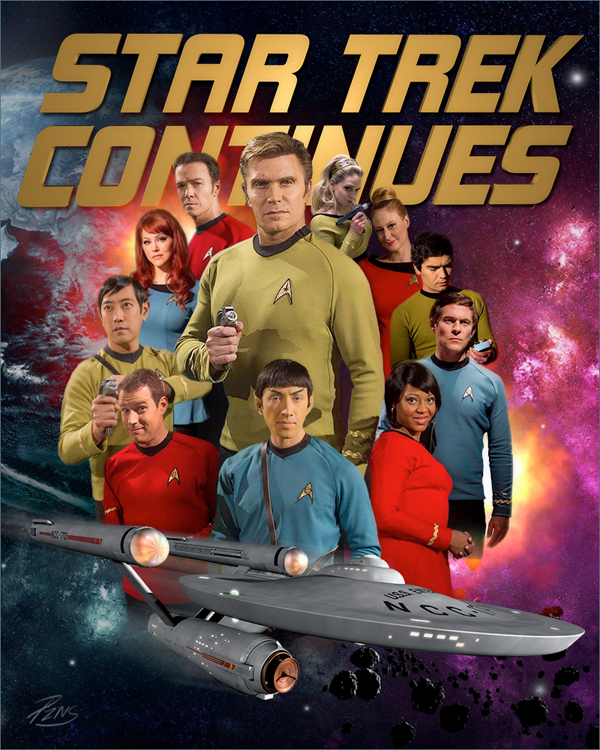 The series finale of Star Trek Continues was released to the general public on November 13, 2017…and so far, like the other final four episodes, CBS and Paramount have taken no public action. And thus has this legendary and groundbreaking Star Trek fan production come to a bittersweet conclusion. Many fans have begged, pleaded, wept, and bellowed for more episodes from this team. But alas, STC is indeed shut down as a fan series. But what about those amazing sets??? It’s been an amazing run for Star Trek Continues, and Vic and his entire team are to be commended and applauded…and we did! While some people—a very small few—have tried to belittle and minimize the significant accomplishments of this dedicated group and their outspoken leader, the fact is that these folks have done something no other fan group has ever done. 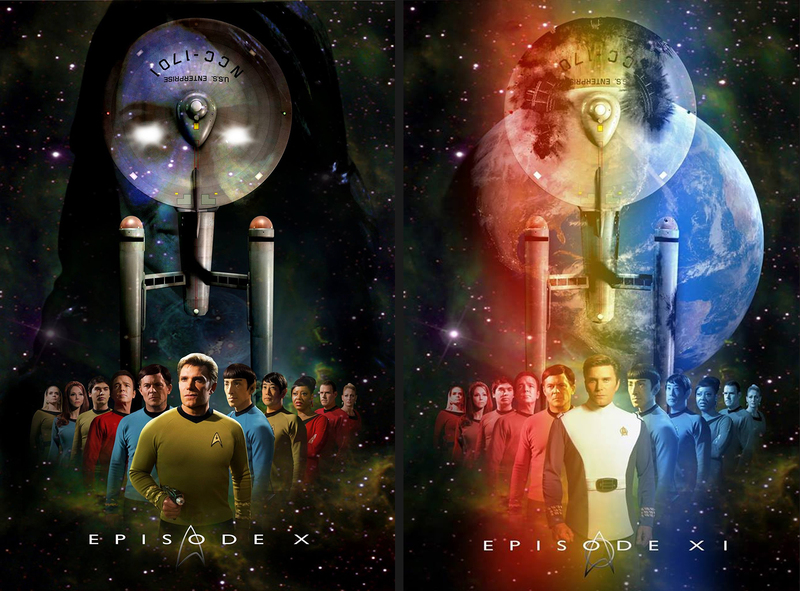 They have produced eleven full-length episodes of a Star Trek fan series on practical physical sets, with real professional actors and production crew, some originally composed and recorded music, top-notch visual effects, make-up, lighting, costumes, sound design, writing, directing, and editing…all within five years. They worked hard, played hard, never gave up, and had a blast. And the world of Star Trek fan films will always be all the richer for it. This is why we’re here! Jonathan – again, thank you so very much for this history of STC, for all the work it has entailed (and I’m still hoping you will put it all together as a PDF). I’m currently reliving the STC episodes, one per week, and reading this has brought me to tears; tears of joy and tears of sadness. An event that is not triggered easily. Glad I could be a part of it for you, Bryan. STC *will* be missed in so many ways. I’m also saddened by the fact that CBS won’t let fan film makers do what the STC folks have done. For one brief shining moment…Camelot. Treasure it. I feel I have to write and say, first off, great work on the blogs. I first stumbled across your site when you got the scoop on whether STC would… continue continuing in light of the fan film guidelines – just as you’ve written about here in part 6. 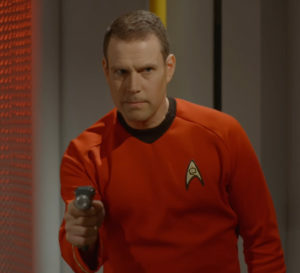 Star Trek Continues is absolutely fantastic. While all fan films are done for love and I respect all who do them for following their dreams there’s very few I find actually watchable due to the acting (or lack of), budget limitations etc. Horizons, Axenar and a few New Voyages being a few exceptions. But STC I could watch again and again. It’s more than head and shoulders above the rest. It really is like we’ve seen the pick of the episodes from the two seasons of TOS that never were. 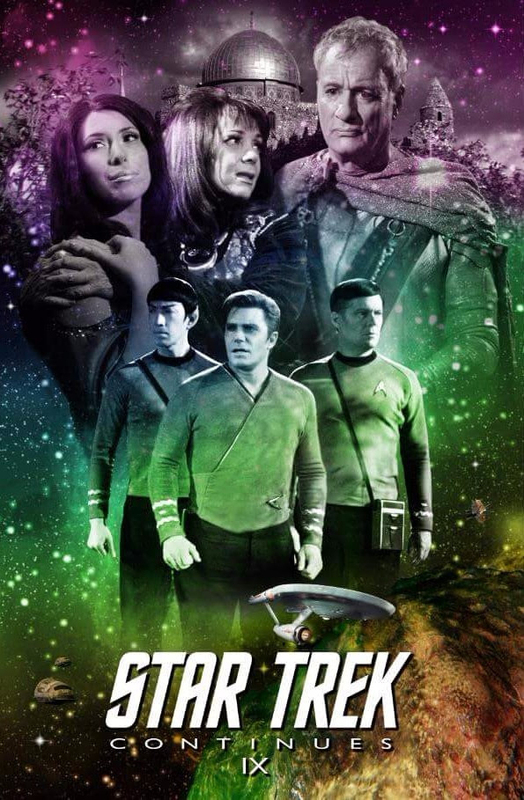 I first watched TOS in the 80’s during its inumerable reruns on the BBC. STC was even more like a blast from the past for me – no advert breaks! We have a lot of series in the UK that don’t run to any where near as many episodes as happens in the US. While we may not get the quantity, if we’re lucky the quality goes up to compensate (granted, that’s not a given). I think that’s what’s happened with STC. I don’t think we should regret that only 11 were made, less really can be more. Excellent points. While we’ll never know what those two unproduced episodes of STC would have been like, the fact that we got eleven was a true blessing for fandom. As for comparisons to other fan films, I try not to do that directly. Sure, the production values and acting on STC are better than most of what’s out there. But that doesn’t diminish the hard work and dedication that goes into all fan films. Yes, most fan films I watch only once, while certain ones I can watch over and over again. But each gets my attention and respect. These are fans with stories to tell and a desire to share them with others. I only recently started to watch fan-made Star Trek films. After watching a couple, I decided to download, organize, find release dates and sort what was out there… I had no idea what I was getting into and the rabbit hole I had entered. When I thought I had finished sorting through a series, there was another and another. I’ve been at this a week and hoping to finish soon. 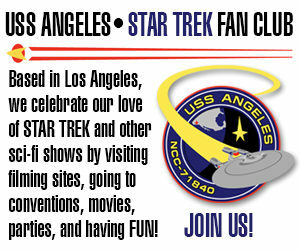 I have come across lots of great sites, resources and a sense of a Star Trek community I had no idea existed. Roughly… I have 320 files and about 30gbs so far. Most are low-budget and the acting could use some work but… I really love watching them. In the end, it’s the story that appeals to me the most. Jonathon – thanks for these invaluable links (except I don’t use social media); I had not known of their existence. Now, in comparison to that mammoth PDF, putting together the series on STC as a PDF would be a relatively small job 🙂 Pretty please!? Yes – but! 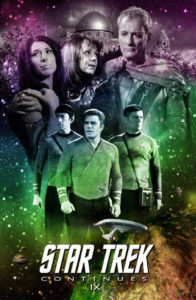 The large PDF you provide on the history of Star Trek fan films includes links. And if doing so involves too much work, just the text would be invaluable. Sorry to be persistent, but it would be sad to see the really excellent work you have put into this 6-part series to be transitory and effectively lost. Like it or not, you are THE archivist/historian of Star Trek fan films and your work has uniquely significant historical importance; work that should not be lost to obscurity. That’s quite the responsibility! Of course, even if I did put my 448 (so far!) blog posts into one massive, cross-linked PDF file, someone would still need to archive and host that PDF. Plus, their apps are available in all the platform app stores. Android, ios, windows, etc. So, Brian could create his own mega documentary of STC. I’m only a visitor here, but I’m fascinated by your comment. I couldn’t agree more that practically all of these fan films are fun to watch and, if they lack an enormous CGI budget, many of them make up for it with a cool story. On DSC, though, I have the opposite reaction. I think the story is a superb futuristic war story for adults set in Star Trek’s universe and is being portrayed by fantastic actors. We’ll have to see if winning the war brings TOS’s optimistic view of the future into the story. No doubt this war is being portrayed with vigorous Machiavellian realism so far, to the distress of many TOS fans. This Trek adventure (so far at least) isn’t for small kids. There are definitely two different factions in fandom–ones who love Discovery and ones who loathe it. I only rarely find someone who is ambivalent. A really nice, and original send off. Leads me to wonder though about those years at Star Trek Command, as the Admiral. And where did Scotty find that Moustache? Fantastic casting especially the Romulan Commander her delivery was subtle and accurate and had that haunting familarity I just could not shake.. finally I know.. Wow. Thanks for the behind the scenes looks and annd the analysis. Well, there were only about two and a half years like that before TMP. And I suspect they were pretty uneventful…or else Kirk wouldn’t have been so bored as Chief of Starfleet Operations that he pulled those strings to get the Enterprise back. You know a fan film done their work well when you have minimal problem integrate it into your head canon. Vic deserve a starship named after him for that. As for the USS Mignogna, well, it could potentially confuse some races who are trying to learn English. It’s pronounced: man-YAH-nah. I can just see a first contact going horribly wrong when the alien ambassador suspects subterfuge because he can tell the ship is obviously called the mig-NOG-nah and the Federation representatives are lying to him for some nefarious reason. To David & Jonathon. Yes, I did get that info on how to create my desired PDF of the STC ‘collection’. After the Christmas mad period, I will see what I can do. Thank you. ICYDK you can get the video URL from the in article vids. I don’t know about Windows, but on Android, I just tap & hold the Vid, and a context menu pops up with several options, but at the top of list is the “copy URL” . Look forward to hearing about how you manage the project when you have time, and if you need further help, I’m sure we can find a way to communicate. Jonathan, I know this is off topic, so feel free to delete it later. Thanks. Progress report. Already I have found that an app for Firefox allows me to convert your bloggs directly to PDF, and right-clicking the embedded videos gives me the relevant URL. So it seems I have the tools – after Christmas/New Year, then I should be able to find the time (among other projects) to – I hope – deliver the goods. (PLUS, I will be able to uze 😉 a spell-check!!!). As to finding a host for the product?? 😉 – Jonathan, assuming I get there, that will be back to you. I’ll be around. However, remember that, if I host it here on Fan Film Factor, and the blog site disappears, the hosting disappears with it. You might want to find another place to upload and store the PDF, Bryan. Assuming I succeed and you approve of the result to the point you are willing to host it, that would be great (I will even preserve American spelling! Query – does the plural of blog have two g’s?). I have no website skills or knowledge of hosting bloggs etc etc, and I suspect you and FFF will be around far longer than I will! IF there is any interest in the result, I’m sure such interest will peak early and then wane anyway. Hmmm. I wonder if Vic would be interested and if so, would you allow him such access to your work? Just a random thought. Enter the world of hypotheticals. As for hosting, might I suggest you simply open up a free Dropbox account and then spread the link to the the URL for the download? That would be your easiest solution.